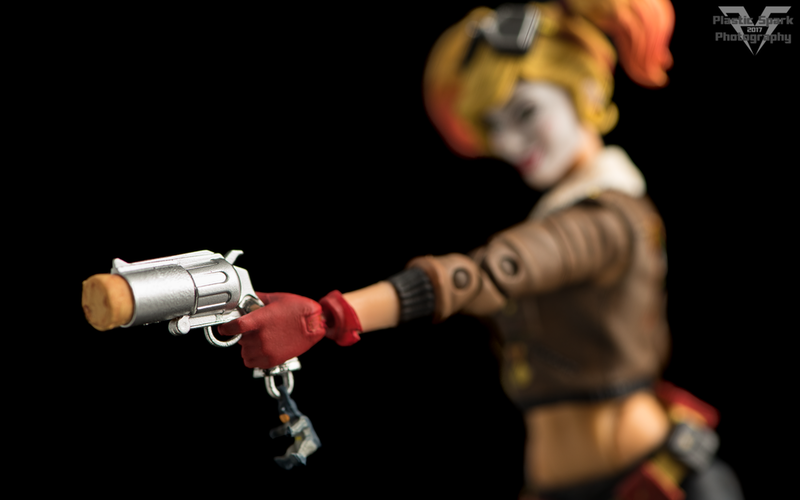 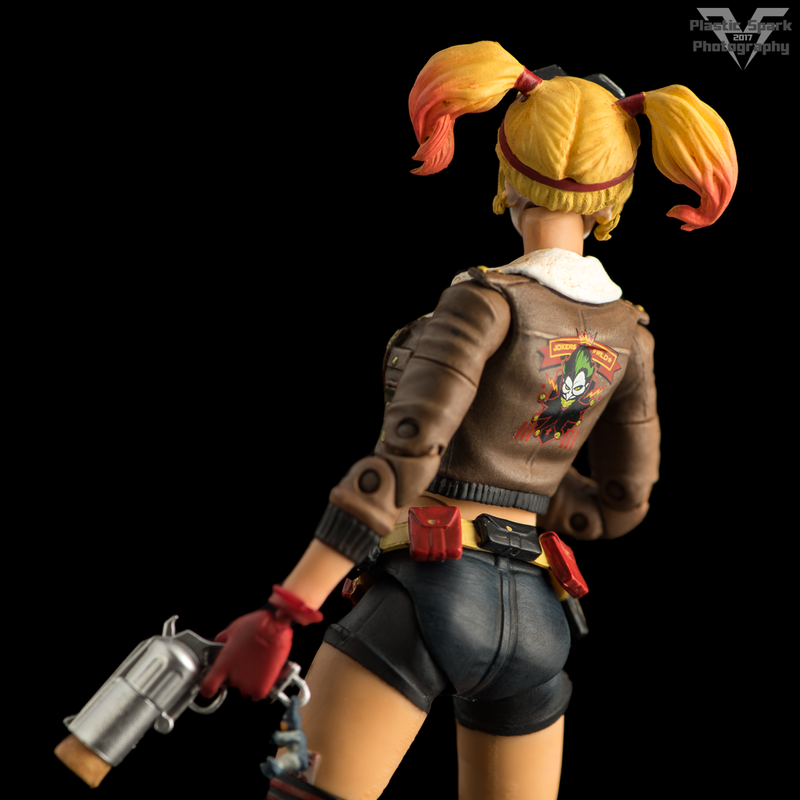 Here's a few shots of DC Bombshells Harley Quinn. 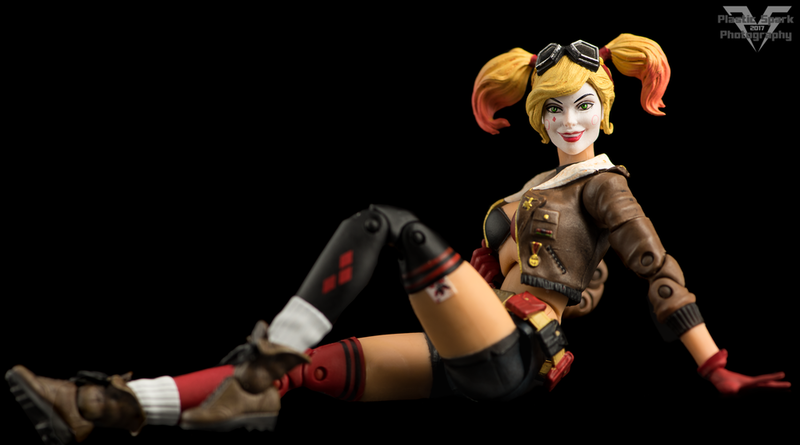 This is a pretty cool pinup style reimagining of the character with some really nice paintwork for a general release figure, and some awesome accessories! 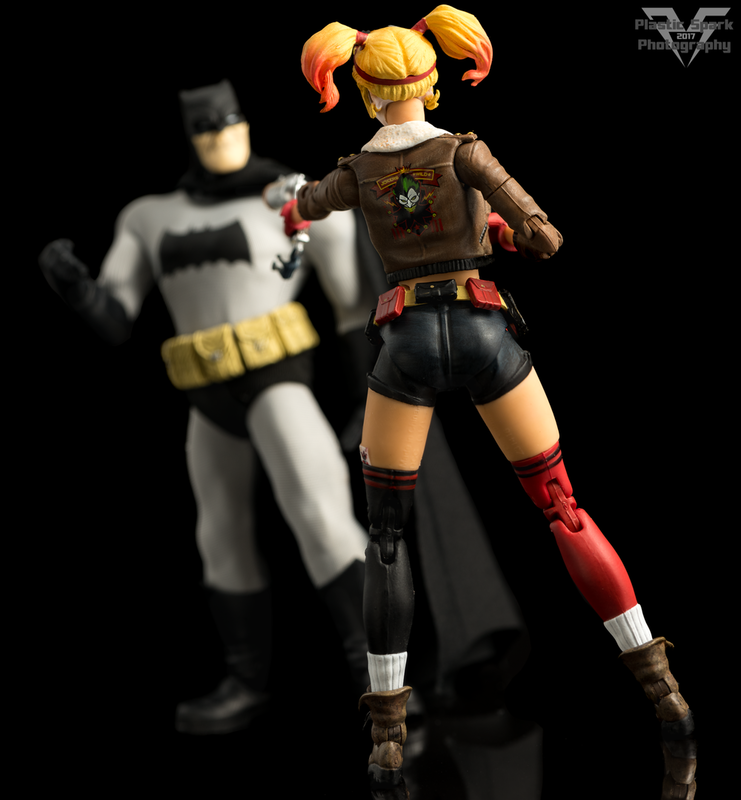 I really dig the tiny Batman charm hanging from her gun. 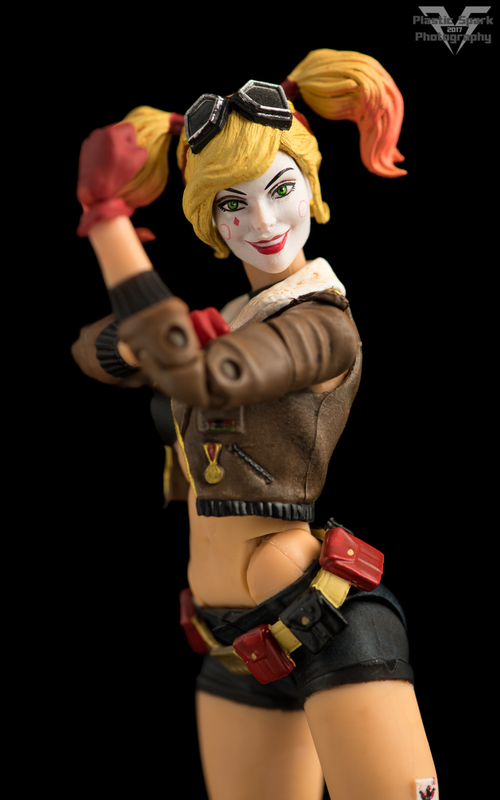 I will be adding a few more photos to this gallery soon, I misplaced her spare hands and hammer so I need to track those down for a few more photos!